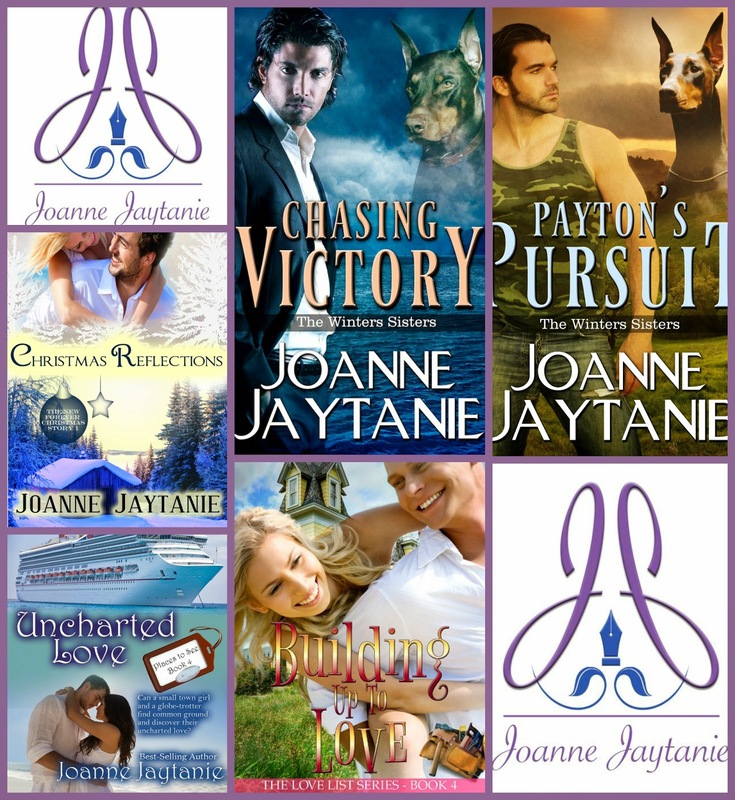 Happy Anniversary Payton's Pursuit! February Giveaway! She wasnât concerned about going back up to the house alone. She walked home late and alone hundreds of times. Besides, the guys completed all the upgrades in their security and now the campus was even more secure than when first built. She would grab one of the carts and be home in less than five minutes. As she finished shutting things down and readied her desk for the next day, she realized she was the only person left in the building. Still an uneasy feeling grabbed hold and wouldnât let go. She looked out her window to make sure a cart was available. The night was clear, stars filled the sky, and the moon was a meager sliver. Everything took on a sinister appearance. There were no carts sitting under the streetlight, where they were supposed to be. She decided to contact the front gate and make sure there would be cart and a security guard out front when she wanted to leave. She pressed the intercom button to the gate and let it ring for a bit. She waited, and pressed the button again. She pulled the file out of her desk drawer to see who was on duty. Frank, the shift boss, was on. He was one of the first people they hired when they started to staff the campus and one of their most conscientious employees. Payton sat back in her chair. Iâm being silly. Iâm sure itâs been a busy night, and Frank has probably stepped away to get a cup of coffee. She grabbed her purse out of her desk drawer, double-checked to verify her cell phone was in her jacket pocket, and left for the main gate to get a cart. The gate sat directly across the parking lot and the entire area was well lit with streetlights. An ominous dread slithered down the back of Paytonâs neck. Was there someone else in the vicinity? She scanned the entire area. No one. âThese blasted psychic abilities,â she mumbled. She thought she had more control over them. She needed to heed Victoryâs advice and work on honing her skill on a daily basis. As she approached the gate, she noticed there appeared to be no one in the security shack. Not unusual, this often happened at night. When it was quiet and the gate locked, instead of sitting in the tiny shack, the guards would stay in the security office across the street from the shack. There were lights on in the office, a safe bet Frank was there. She pictured a cup of coffee in his hand as he watched his favorite talk show. Payton veered toward the office building, she gave one last backward glance at the shack. She stopped in midstride. Something seemed off, and she noticed the door ajar. The door was equipped with an automatic close-and-lock feature. The only way for the door to be left open was if someone stood in the doorway or something prohibited the door from closing. She walked up to the shack and reached out to take the doorknob. Her eyes tracked down the length of the door, until she saw what kept the door from closing. There was a black shoe wedged in the doorway. She stared at the shoe, her mind not able to register what she saw. Her eyes traveled from the shoe, to the dark blue pant leg, to the matching shirtâ¦Payton gasped. There lay Frank, crumpled across the floor, a dark wet spot on the left side of his chest. She reached into her jacket pocket, and fumbled for her phone. She finally pulled the phone out, and pressed the power button, as she felt the strangest prick at the side of her neck. She turned to her left, where she noticed movement. Her head started to spin and her eyes blurred. She caught a blurry image of a man right before she hit the ground. What are the giveaway goodies? Thank you so much for hosting Payton's Pursuit One Year Anniversary Giveaway! !